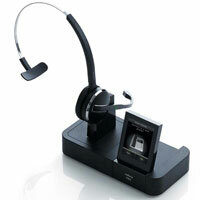 With Jabra PRO 9460, office staff can answer calls made to either of their phones. Specially designed for open plan working environments, it has a flex boom for optimum voice pick-up. 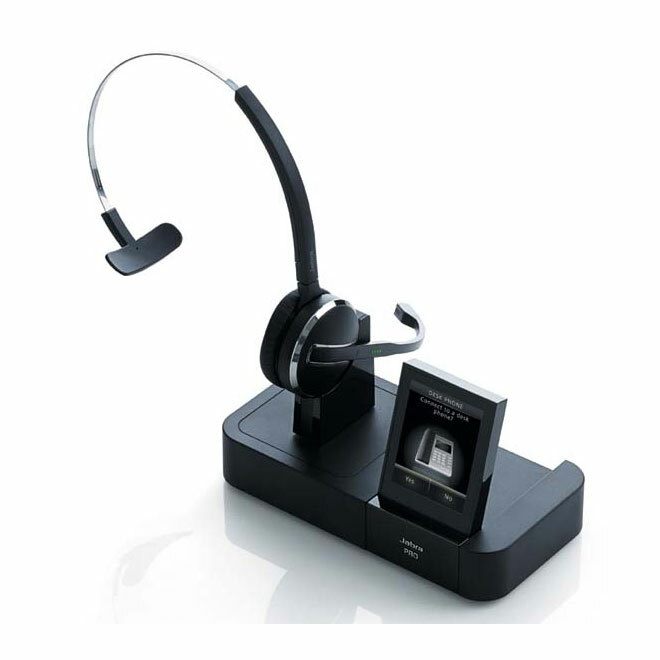 Jabra PRO 9460 is a single ear headset that can be worn hooked over the ear or on a head or neckband. The two devices - desk and softphone are united by a stylish touch screen base. The base connects to your headset via DECT a technology characterised by its reliable, long range capabilities offering a wireless range of up to 150m. A SmartSetup wizard on the touch screen helps you connect your phones and choose preferences to get started. Once you're up and running, the screen's colourful icons and intuitive menu system make call-handling a breeze. Before purchasing please use our compatibility checker located on the right of this page or If you are unsure of your requirements please call us.